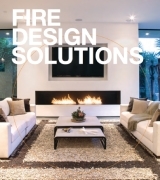 The Firebox 1100CV is a uniquely curved, ethanol-fuelled fire feature that cleverly improves upon the traditional fireplace. Intelligently designed for optimum heat output, flame enhancement and safety, its high quality, steel construction has been designed to complement a wide range of building materials and finishes. This enables architects, interior designers and homeowners to create a traditional or modern look depending on the project brief. The Firebox 1100CV is a manufacturer approved surround for the BS EN16647 Compliant XL900 burner. This acts as both a safety barrier and fire shield against the wind. Unique curved feature radiates heat outward for full enjoyment and maximum fuel efficiency. Clean burning e-NRG bioethanol fuel boasts a host of benefits including long burns times and low odour. 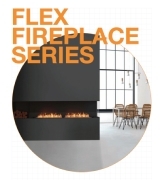 The black powder-coat protects the stainless steel firebox and provides dramatic contrast to the smoke-free flame. 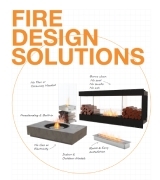 Once the domain of indoor spaces, EcoSmart’s flexible firebox designs are a stylish way to bring life to alfresco areas. Colours The 1100CV Firebox comes with a Stainless Steel Burner. Glass Charcoal included. 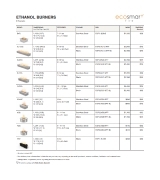 This model is manufacturer approved for use with the UL Listed XL900 Burner.